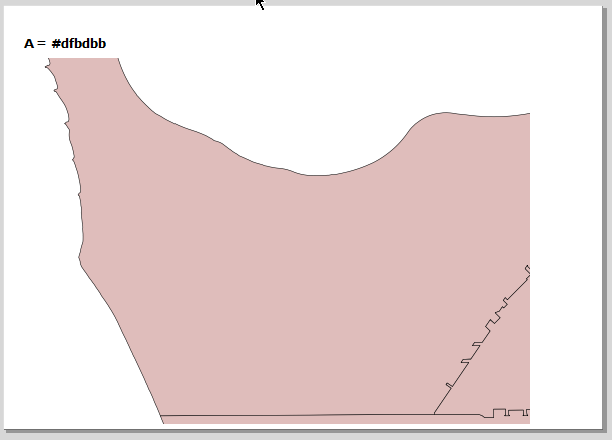 Can this be done within QGIS + Python? Any better ways to achieve my goal? Hints on any existing source code or plugin to achieve this? Create a new print composer. Add a map item to the composition and set up its extents as desired. You'll need to tick the "Color" property, and then click the "E" button to open the expression editor. Basically, this expression will retrieve the value stored in the "A" column from the current atlas feature. Since in your case this value will be a color (eg #FF0000) the feature will be styled using this color. 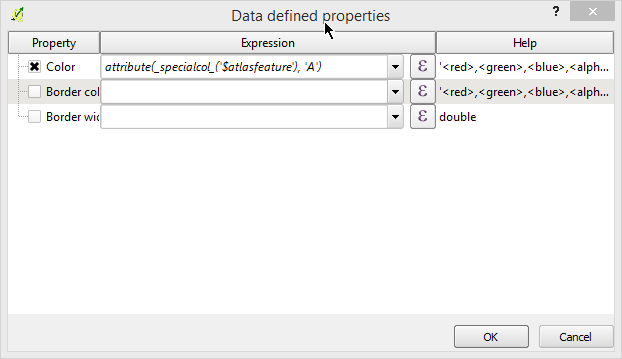 (This expression is the part which relies on QGIS > 2.4 - the "attribute" function was added after 2.4 was released). Back in the print composer, you can enable an atlas preview (Atlas menu -> Preview Atlas), and step through the rows from your CSV file using the arrows on the toolbar. If everything looks right, export the atlas using the options in the Atlas menu... and you're done! No programming necessary! 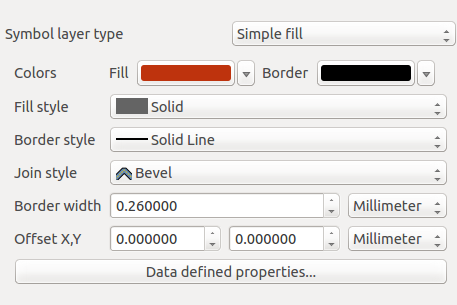 How to add images containing attributes in QGIS? 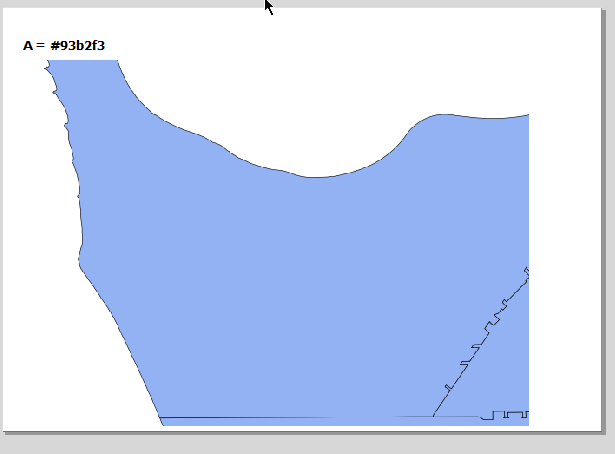 How to get Google satellite images (via the plugin) to behave well in QGIS with a map created with a different CRS?